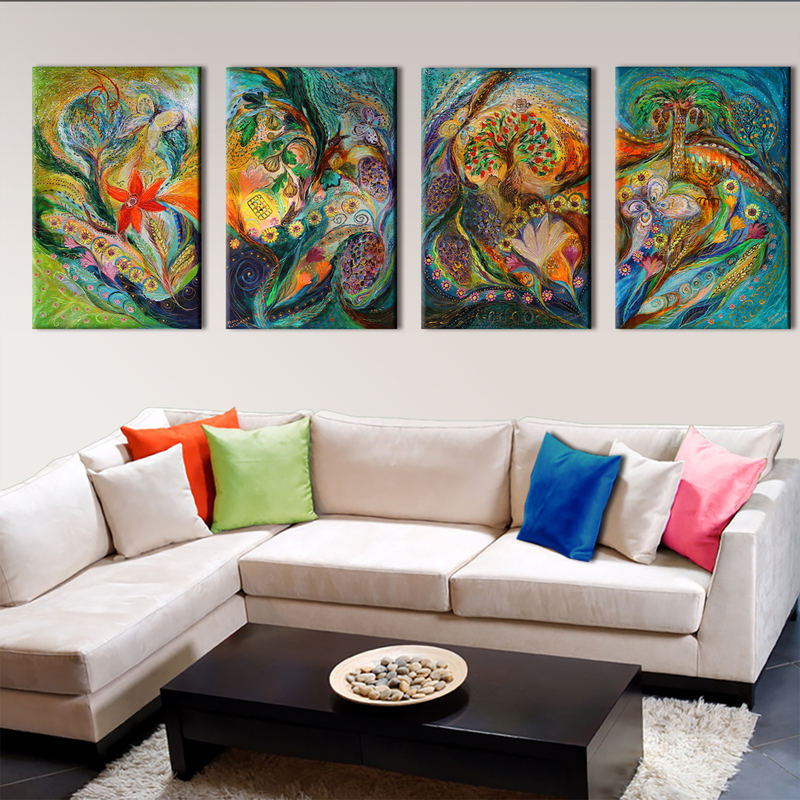 All the paintings are designed and created together on such way that one part is in harmony with other. It means that the each painting can be showed on both ways: as a part of the overall polyptych composition (recommended) or as a completely independent artwork. The size of the single part after stretching is 27 x 29 inches, so the whole polyptych will be 110 x 43 inches - absolutely enormous four-part artwork. * Wall size: 110" x 43" (280 X 110 cm).